Ken Kurson, the former editor of the New York Observer, doesn’t have the résumé of someone who’d find himself on the board of the National Endowment for the Humanities. 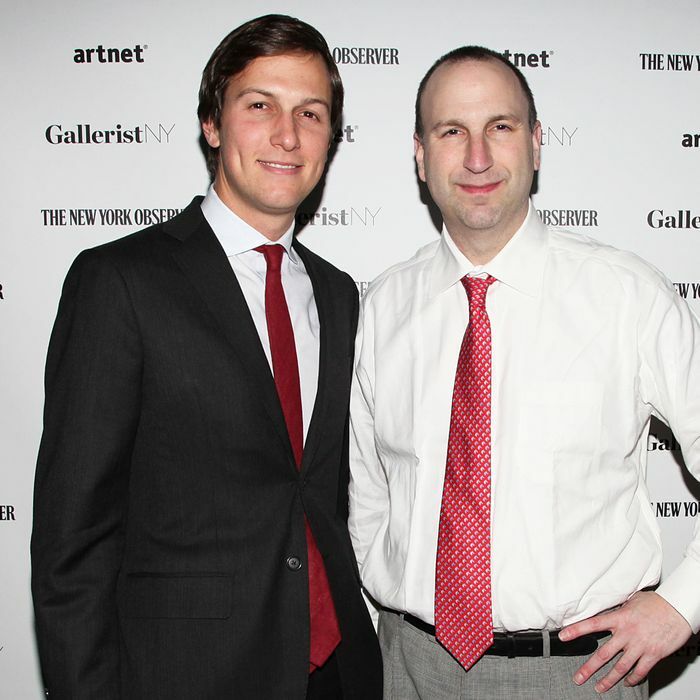 But he has the connections to be considered for an appointment to the prestigious board, including a friendship with Jared Kushner, who hired Kurson to run the Observer in 2013. As the Times reported Thursday, though, a nomination never came for Kurson, despite his relationship with Kushner, his long-time affiliation with Rudy Giuliani, whose short-lived 2008 presidential campaign Kurson ran, and his brief stint in 2016 as a Donald Trump speechwriter. The problem, according to the Times, was a harassment allegation that surfaced during the FBI’s background check on Kurson. That same month, the wife of the doctor’s boss received emails from someone she believed to be Mr. Kurson. The emails made unsubstantiated allegations about the doctor and her boss, and his wife regarded them as a form of harassment, according to a person familiar with the emails and documents reviewed by The Times. The doctor’s boss reported those emails to Mount Sinai officials. As for why he didn’t end up on the Trump administration’s list of nominees to the NEH board, Kurson said that he withdrew himself from consideration because there was too much paperwork to fill out.